It only seems like yesterday that I was desperately cramming all my possessions into my tiny Peugeot 106 - like playing a real-life version of Tetris - and setting off on what was destined to be the biggest adventure of my life so far. In reality it has now been more than two years since I left England. These last two years might have absolutely flown by, but when I look back over all that has happened during this time gives me an appreciation of just how much my life has changed since I boarded that ferry: I have lived in three different apartments, bought a new car, found a job I enjoy and seen many, many beautiful things. But above all that, the biggest and happiest change was the birth of my daughter Lydia, and watching her grow a little more (both in size and in character) with each passing day. 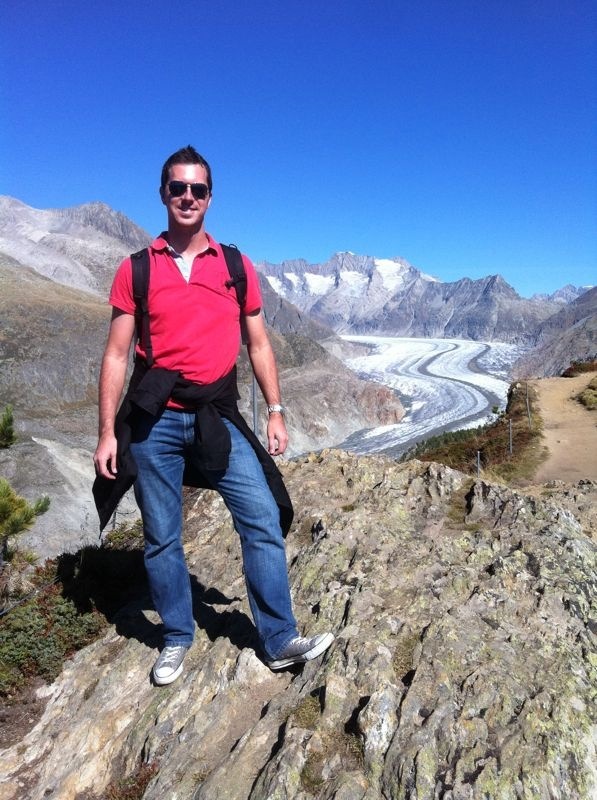 I only realised this morning that my two-years-in-Swiss anniversary had just gone, and that prompted me to read through what I wrote this time one year ago about my first year in Switzerland (see my blog entry "12 Months Later"). To be honest, I still feel the same about everything I wrote. For example, I'm still a bit annoyed about the shops not being open on Sundays, I still hate Swiss TV adverts and I still believe Switzerland is not that expensive when you live there. Granted, with the current exchange rate it's not going to attract the more stingy tourists, but for those of us lucky enough to live here it really isn't too bad. Having read through what I wrote about my first twelve months here, I thought I would offer up a few more thoughts on what life is like in Switzerland, should anyone else look to follow in my footsteps, as well as some thoughts on life in general. I don't think many people - be they tourists or locals - would disagree with that statement. From shimmering lakes and grassy fields to towering mountains and rolling vineyards, Switzerland has many truly awesome sights to see. 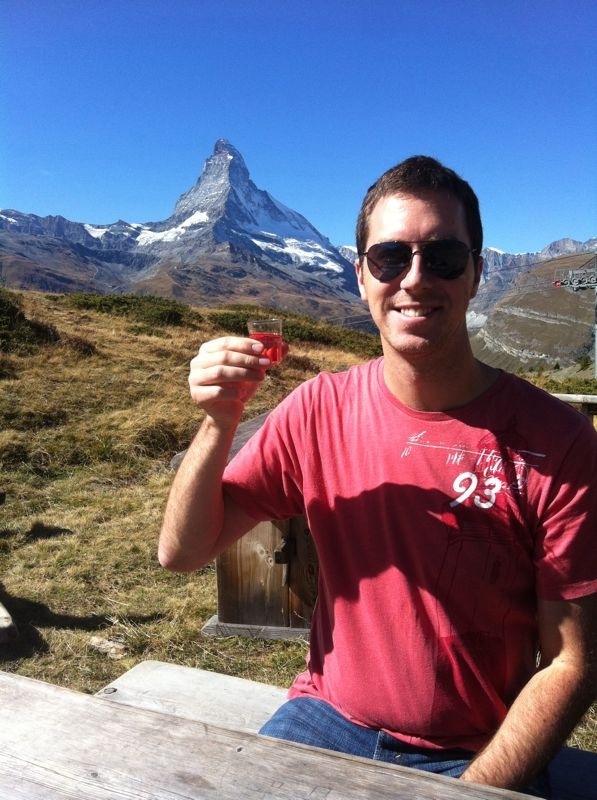 A toast to the Matterhorn! In the last two years I have been lucky enough to visit many stunning locations in Switzerland, such as Appenzeller (the home of William Tell), the Santis mountains and the Lavaux vineyards. Just this weekend I went to Zermatt and was awed by the famous sight of the Matterhorn, probably best known for it's image being on the packaging for Toblerone chocolate. I also saw an enormous glacier (called the glacier d'Aletsch in French) and ate a picnic whilst sat atop a giant boulder with a spectacular mountain range in front of me, and drove back via the col de Grimsel, a road that climbs to such a height that I saw snow on the ground around me. Granted, most Swiss city centres are generally less attractive than their countryside counterparts, especially Geneva and Zürich, which are fairly generic and not particularly inspiring to look at. However, cities such as Bern and Basel have many winding, cobblestone streets with interesting architecture to attract visitors. The beauty of the Swiss campagne far out ways the minor blights that are Geneva and Zürich, and such stunning surroundings are just crying out to be explored. 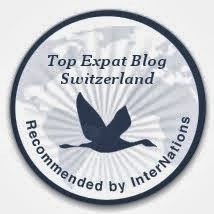 I am thinking of adding a tourism-themed section of this blog to offer hints and tips for things to see and do in Switzerland, based on my own experiences. Watch this space! When my wife gave birth we were overjoyed, elated, over the moon, ecstatic. We were just so happy to have our little Lydia, and have ensured we make the most of every moment with her. Sure, we have had our fare share of frustrating moments, from screaming fits to fidgeting to not wanting to play by herself. However, one area that causes more frowns and confusion than others is that of childcare. Trying to find a crèche or nursery in Switzerland can leave you scratching your head or wanting to scream in frustration. First, the waiting lists for many types of childcare, such as a maman du jour (basically a childminder) are ridiculously long, so long in fact that you would have to sign up for one before you get pregnant. Crèches are expensive, slightly tougher to find, and equally as frustrating if you are currently seeking employment. My wife Christelle is looking for a job, ideally part-time, working a couple of full days a week. However, as she is also responsible for a child, when she goes to any job interviews they will (naturally) ask her which days she would be able to work. Without knowing exactly which days Lydia will be in the crèche, this is not an easy question to answer. Conversely, the crèche want to know which days Lydia would be with them, and Chris cannot give this information as she does not know which days she will be working. Hence the frustration. We could start putting Lydia in a crèche now so at least that is sorted out, but with no guarantee of what days Chris will work when she finds employment, this might be kind of shooting ourselves in the foot (especially as crèches are expensive). The ideal solution would be for Chris to find a job for a company that has an on site crèche for employee children, but unfortunately those are few and far between. Ok, so this doesn't have anything to do with Switzerland, but I enjoyed Oktoberfest so much that I had to write something about it. I went there in September with a few friends from England, and had a thoroughly brilliant few days, filled with litre beers, games of Sh*thead (the universal classic card game known by all backpackers and students), random chats with people who may or may not be Chalkley (an in-joke between us Fest goers) and late night stops in McDonalds. I got to the festival a bit later than everyone else, partly because they flew from the UK to Münich in the morning while I flew in from Geneva in the afternoon, and partly because I got on the wrong metro (twice) and tram (three times) whilst searching for our hostel. When I finally caught up with my friends, I think it would be fair to say there were all very much "in the spirit of Oktoberfest". The festival itself has a really enjoyable atmosphere - inside the big beer tents it was fairly easy to find a table, generally squatting on one for a few hours until we got kicked off in favour of the people who had reserved it. One tent we were in - I think it was the Hoffbrau-Feltzit, or something similar - had a German band playing traditional festival music, including the German toasting song "Ein Prosit". We gleefully joined in every time this ditty was played (generally every 15 minutes or so), clinking our glasses together and singing along with our own made-up lyrics about Karel Poborsky and Alain Prost. Food at the festival sight was also highly enjoyable, with delicious chicken (hendl and schnitzel) and half-metre-long hot dogs readily available we certainly didn't go hungry. The food and drink were complimented by various rides such as the rollercoaster and the carousel. One thing that really impressed me about Oktoberfest was the lack of trouble. I only saw one mini fight that basically looked to be a bit of pushing and nothing more. In England, a festival that encourages patrons to drink beer in large quantities would no doubt result in fights, riots and probably some looting. I thoroughly enjoyed the festival and would happily go back one time in the future. It was also great to catch up with my friends, as I don't get many opportunities to have a beer or two (or ten) with them - Prost! Ever since Lydia was born we have had people telling us that she is "advanced" because of her ability to hold up her head (which she was doing from only a couple of weeks old) or the strength she has in her arms and legs. I'm not sure if this is the case though, as I don't really have any experience with babies other than Lydia. 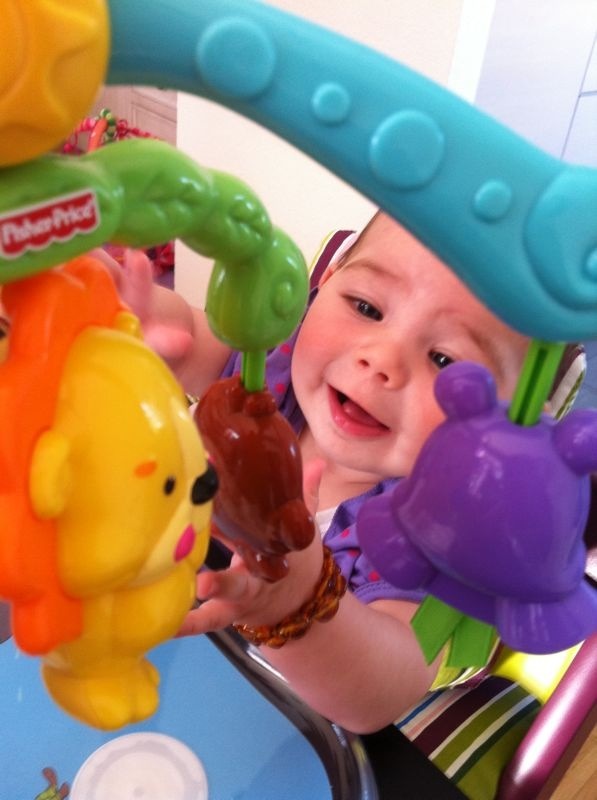 What I do know is that now, five and a half months since she was born, our little baby has grown so much. ﻿I mentioned in a previous post about how Lydia seemed to be growing really quickly (see "Growing up too fast? "), but when I look back on how much she has changed in the last few months it really is incredible. From a helpless newborn she quickly developed her own character and is now really starting to discover the world around her. She has always been a curious little thing, interested in everything that is going on around her. She always wants to be sitting up, perhaps out of curiosity and a fear that laying down means she will miss something. We have watched her learn how to smile and giggle, blow raspberries, focus on objects and grab them in her tiny hands (which usually ends with the object getting covered in saliva from her mouth), and find out how to roll over. ﻿We started feeding her purée vegetables and fruits a while ago, in addition to her bottles, and have watched her slowly acquire the taste for something other than milk whilst simultaneously doing her best to spread her food all over herself and anything else within splashing distance. She might only be a few months old but she has already tried carrots, potatoes, courgettes, fennel, parsnips, apples, pears, bananas and possibly other vegetables and fruits that I can't think of right now. That's not bad for someone so small! ﻿Just yesterday, from laying down on Chris' chest she raised herself up and stood unaided for around ten secounds, steadying herself with her arms on Chris' chest. We both sat there with our mouths gaping open in shock at this surprise show of force from our little girl. We looked incredulously at each other in amazement, both thinking "did we really just see that?". Ok, so it's not like she stood up and walked to the fridge to get herself a snack, but it was still pretty impressive and the first time she has done that by herself, entirely unprompted. Lydia's little strongman (or strongwoman) display gives us yet another gentle reminder that she grows a little more with each passing day, and that our formerly helpless baby is anything but that now. Although we are delighted to see Lydia developing from a baby into a little girl, I feel it is all going so fast. In two weeks' time Lydia will be six months old already. That's a pretty big milestone in the life of a baby, and highlights the fact that she is growing up so fast. Well, that's about all for now. 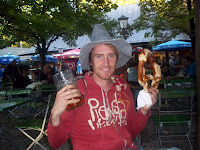 One thing I did promise when I summed up my first year in Switzerland was to blog more often. Since then I have managed to write at least one article each month since March, with September being a notable exception (I blame Oktoberfest for that), so I view that as a minor success on my part. Yay me!